Beaches are for relaxing, and letting the hours of work slide from your shoulders onto the soft sands. Progreso is the place where this will happen, and more. Progreso is not as grandiose of a tourist destination as Cancun, nor as crowded. It has maintained a smaller city feel. Thanks to ShoreTrips, you can learn all about the ins-and-outs of Progreso. Progreso is a port city on Mexico’s Yucatan Peninsula, along the Gulf of Mexico. This makes the city a popular spot for cruise ships to port. Ships port at the end of an almost 4 mile long pier stretching out into the gulf. Shuttle run along the pier to get cruise passengers to and from the ship. You can also walk along the pier for a great view of the gulf. The area around Progreso has lots of cenotes, which are massive sinkholes from water eroding limestone bedrock. These holes fill with crystal-clear water from underground rivers, and offer a swim and dive in the most beautiful of surroundings. The oceanfront promenade, the Malecon, along the coast can be bustling or relaxing, depending on which part of the beach you choose to bunker down on. Here you’ll see volleyball, sunbathers, swimmers, vendors, and mariachi bands. You’ll also find plenty of tasty foods under thatch-roofed restaurants. Progreso is known for its mix of Mexican and seafood: fried fish fillets, lobster, and fish tacos. And, of course, don’t forget the margaritas. The, sometimes larger, crowds on the beaches are a mix of cruise passengers, locals, and visitors from Merida. Merida, 20 miles from Progreso, is the capital of the Yucatan state. Here, there is a much more historic look. Merida’s architecture is one of old-world Spanish architecture, with approximately 60% of the cities inhabitants being of Mayan ethnicity. From museums to ancient churches to food—Merida is worth a visit. 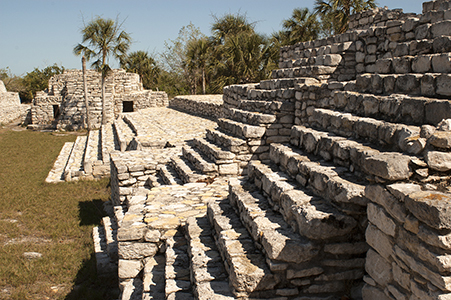 There are a few famous, archaeological sites to tour near Progreso. Chichen Itza, which translates to “At the mouth of the well of the Itza”, is located to the east of Progreso. 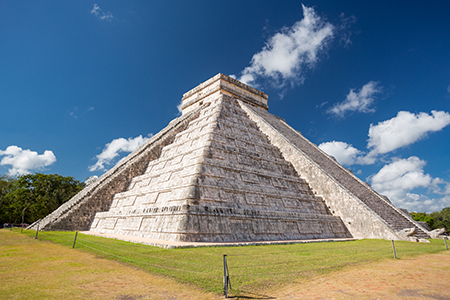 This site is home to the well-known El Castillo, a step pyramid 98 ft high and nine terraces. Uxmal, designated a UNESCO World Heritage Site, offers an ancient city of multiple buildings with Mayan-built roads connecting them. Both them can be accessed via tours. Also, both have amazing cenotes for swimming and diving (for the adventurous). 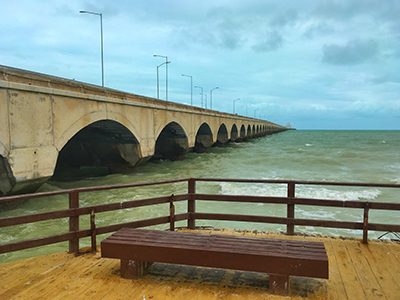 Progreso is more than just another tourist spot. It is a thriving culture with plenty to do and see. Natural wonders and ancients sites surround it. ShoreTrips wants to show this city, and the best it can offer. Travel back in time through the low jungles of the Yucatan Peninsula and explore caverns, cenotes, and old haciendas along the way. You’ll also experience an authentic Mexican “truc” (horse-drawn rail cart) ride. Let the adventure begin! A truly unique experience awaits as you explore this ghost town, abandoned by people, but not necessarily by ghosts!??? The adventure begins as you leave the ship and drive to Uaymitun. Leaving Progreso and heading east for about 30 minutes, we will arrive at a protected Biosphere and Wildlife Preserve, where thousands of pink flamingos and many species of migratory birds feed and nest.